Paper Accents Cardstock Pads with a collection of acid-free, lignin-free, buffered and archival quality paper. 12″x 12″ Primary Assortment 48pc. 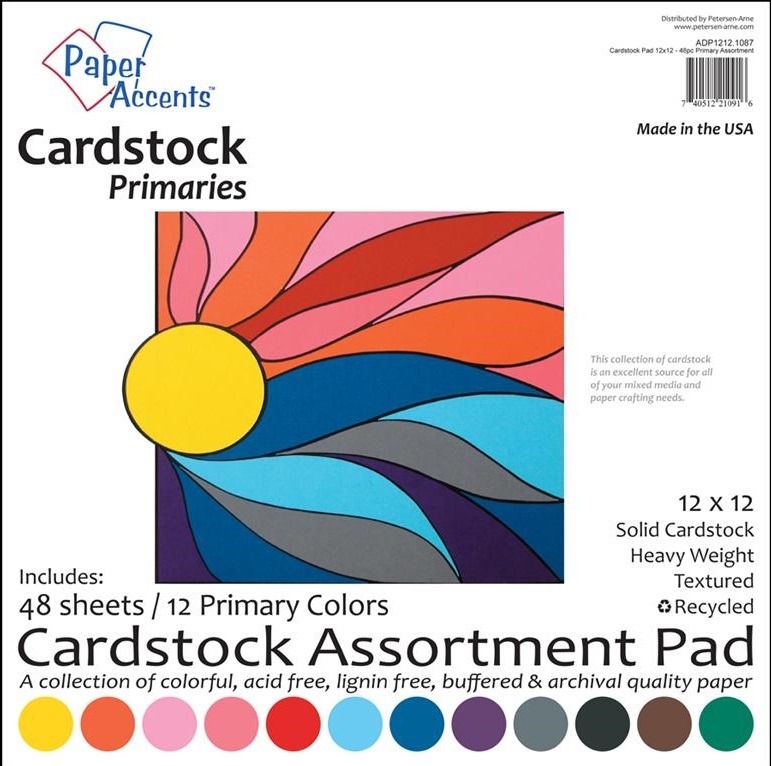 A colorful collection of solid color cardstock, 4 each of 12 coordinating colors. Heavy-weight, recycled, and with a textured, muslin-like, finish. An excellent source for all your paper crafting and mixed media needs. Great for paper flower creations.